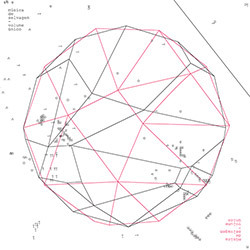 Twenty years after recording his classic LP "Solo Guitar", guitar improviser and legend Derek Bailey sat down again to record these seven tracks, pure Bailey in his idiosyncratic and non-idiomatic approach to free improvisation, a style that has influenced generations and left a recording legacy sure to influence generations more to come. 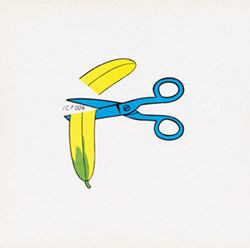 Three concerts at Vancouver's Western Front, two from 1978 and one from 1996, from the duo of West Coast free improvising guitarist Henry Kaiser and Vancouver saxophonist John Oswald, early yet mature examples of the profoundly great music each artist has gone on to create using astounding and extreme techniques. 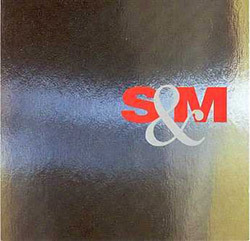 Flute and acoustic guitar duets recorded in a variety of places under widely varying conditions in 1994 and 1995 between guitarist Roger Smith and flutist Neil Metcalfe, including recordings from Metcalfe's flat to concerts in Hollywell to a proper studio in London showing many facets to these free improvisers strong rapport and creative skills. 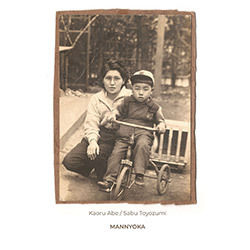 NoBusiness continues their essential 70's reissue series of renowned Japanese free improvisers, here in an LP and extended CD edition of the live duo of percussionist Sabu Toyozumi and saxophonist Kaoru Abe on alto, soprano & sopranino saxophones, the LP presenting their 1978 concert at Gaja, Hatsudai in Tokyo, the CD extended with a live set at Minor, Kichijoji the same year. 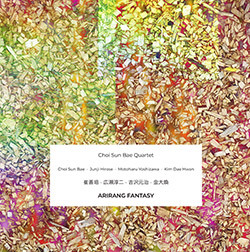 A 1995 live concert at Romanisches Cafe in Tokyo from the South Korean and Japanese free improvising quartet of Choi Sun Bae on trumpet, Junji Hirose on tenor & soprano saxophones, Motoharu Yoshizawa on electric vertical five strings bass, and Kim Dae Hwan on percussion, in five collective improvisations including an homage to Charlie Parker. 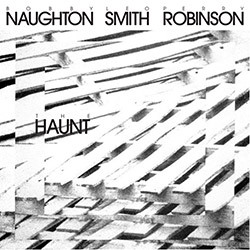 Reissuing Otic Records' 1976 LP "The Haunt" led by Bobby Naughton on vibes in a trio with Wadada Leo Smith on trumpet, and Perry Robinson on clarinet, very much in the India Navigation / loft scene vein of forward-thinking free improvisation: spacious and thoughtful as the players meticulously develop their concepts with uncompromising skill and artistry. 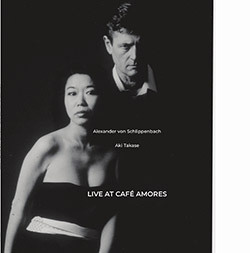 Legendary free jazz pianist Alexander von Schlippenbach, founder of Globe Unity Orchestra and Berlin Contemporary Jazz Orchestra, met masterful Japanese pianist Aki Takase in 1995 for a live concert at Cafe Amores, in Hofu, Yamaguchi, Japan, for a concert of intricate interplay and uniquely creative approaches, taking on work by Mingus, Monk, and even Frank Zappa. 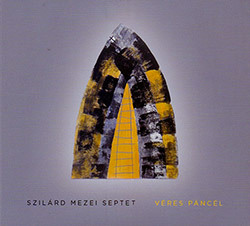 Vojvodinian composer and violist Szilard Mezei formed this septet in 2005, his 3rd chamber group with a distinctly free jazz voice, citing influences Gyorgy Szabados, Anthony Braxton, Bela Bartok, Witold Lutoslawsky, Gyoryg Ligeti, Jimmy Giuffre, Steve Lacy, Mal Waldron, to which we would add Eric Dolphy, here in their second FMR album capturing a live concert in Serbia, 2018. 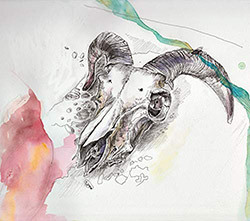 An intense live concert in Bristol, UK of collective free improvisation using insane technique and ecstatic drive from the quartet of Philip Gibbs on guitar & banjo, Marcello Magliocchi on drums, Adrian Northover on soprano & alto saxophones, and Maresuke Okamoto on cello & voice, a wonderfully skilled example of unexpected directions in creative free playing. 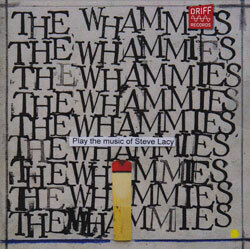 London-based free improvisers and members of the London Improvisers Orchestra (LIO), this ensemble consists of soprano saxophonist Adrian Northover, flautist Neil Metcalfe, acoustic guitarist Daniel Thompson, double bassist John Edwards and Italian-born drummer Marcello Magliocci, in their second album on the FMR label, a spectacular live performance at I'klectik in 2017. 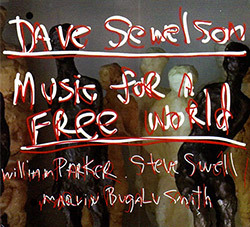 West Coast baritone saxophonist Dave Sewelson leads the accomplished quartet of Steve Swell on trombone, William Parker on bass, and Marvin "Bugalu" Smith on drums through six collective compositions, plus a reprise of Sewelson's earlier "Music for a Free World" composition, and his new composition "Bill" for guitarist/composer and friend Bill Horvitz. 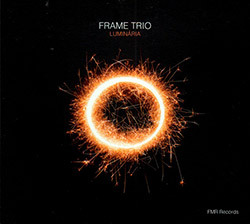 Recording at Centro Norton de Matos Gymnasium, in Coimbra, Portugal, the Frame Trio led by Portuguese trumpeter Luis Vicente and Portuguese guitarist Marcelo Dos Reis, with Belgium double bassist Nils Vermeulen rounding out their unique approach to improvised music blending jazz and free approaches as they present their six part "Luminaria" (Luminary) suite. 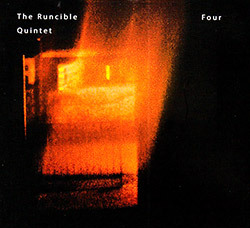 Dedicated to Cecil Taylor and taking advantage of NY saxophonist Irabagon's UK visit, this album presents four drum duets "time two", as two tenor saxophonists--Paul Dunmall and Jon Irabagon--meet two lyrical drummers--Mark Sanders and Jim Bashford--following Dunmall long-standing interest in drum and sax duets, the results this ebullient and remarkable album. 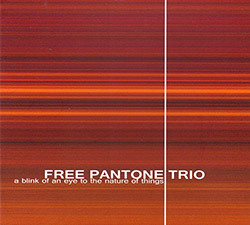 Free Pantone trio is a Portuguese musical group recently created in Lisbon by bassist Rui Sousa, pianist Manuel Guimaraes and drummer Joao Valinho, using a trans-idiomatic and experimental approach they seek to exploit diverse musical genres and sub-genres from jazz and contemporary music using improvisation and real-time composition as their uniting principle. 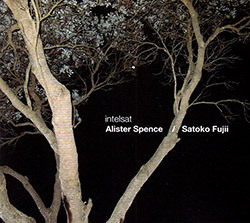 Continuing her monthly releases for her 60th birthday, Japanese pianist Satoko Fujii meets Australian keyboard and electronic artist Alister Spence for their second meeting, touring Japan and recording this spellbinding album merging bells, gongs, electronics, and acoustic piano, inside and out, in a passionate album that balances melodicism and sound. 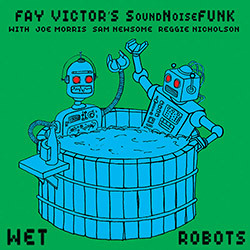 SoundNoiseFUNK is New York free vocalist Fay Victor's quartet with Sam Newsome on soprano sax, Joe Morris on electric guitar and Reggie Nicholson on drums, a great collective group of leaders who perfect support Fay's wordless vocals and pointed statements, the title "Wet Robots" refererring to technology that is useless to help in an apocalyptic age; impressive. 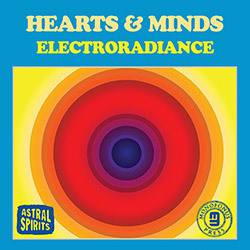 An excellent blend of electronics and acoustics as saxophonist, flutist and trumpeter Daniel Carter meets sound artist Tobias Wilner from world-renowned electronic pop band Blue Foundation, with Wu-Tang Clan bass player Djibril Toure and drum wiz Federico Ughi rounding out this forward-thinking album of hazy and rhythmic electroacoustic environments. 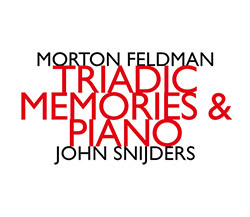 Two substantial works for solo piano from late composer Morton Feldman, performed by Dutch avant-garde pianist John Snijders; "Triad Memories" is presented in two sections over 2 CDs, following Feldmans's socre, Snijders holding the sustain pedal halfway down for unusual harmonic decay, while "Piano" explores permutations in a work of suspended time and motion. 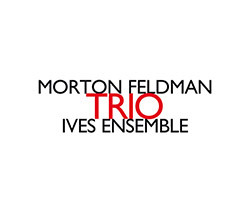 Reissuing the 1996 recording of Morton Feldmans' "Trio" performed by Ives Ensemble members Job Ter Haar on cello, John Snijders on piano, and Josje Ter Haar on violin, Feldman's compositions sparse with tension over spacious moments of lyrical beauty, tense dissonance, unhurried repetition, and a sense of drifting momentum; evasive yet beautiful music. 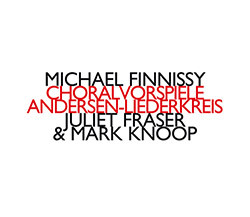 Two works from English composer Michael Finnissy: "Choralvorspiele" for solo piano (Mark Knoop) in 8 parts, technically demanding choral preludes blending Norwegian and American melodies; and an 11-part work celebrating Hans Christian Andersen's lesser known paper cut-outs performed by Knoop and soprano Juliet Fraser, with texts from Andersen in German and English. 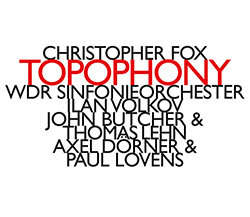 Three versions of English composer Christopher Fox's 2015 compositions "Topophony (for Orchestra With or Without Improvising Soloists", performed by the WDR Symphonieorchester conducted by Ilan Volkov, the 1st version with improvising trumpeter Axel Dorner, the 2nd without improvisation, and the 3rd with improvisers, saxophonist John Butcher & synth player Thomas Lehn. 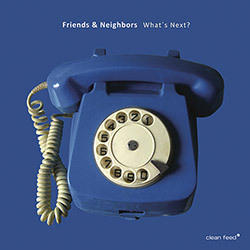 The second album from this New York and Chicago trio of bass clarinetist Jason Stein, keyboardist Paul Giallorenzo, and drummer Chad Taylor (replacing Frank Rosaly), a funky mix of jazz, electronics and rock that plays free but also melodically, absorbing styles and turning them into an upbeat, rhythmically exciting and lyrically effusive album. 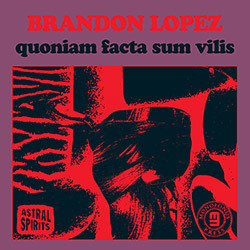 Recorded mostly in the May Funerary Chapel in Chicago's Rosehill Cemetery, and partially in Brooklyn's Issue Project Room, NY bassist Brandon Lopez wrote these intense solo compositions for double bass as a response to the musical intention of Bach's cello suites by creating an inversion, seeking beauty amidst violence and erratic approaches. 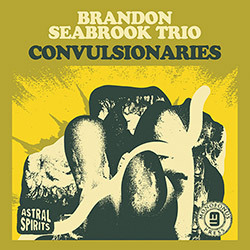 Essentially a string trio, guitarist Brandon Seabrook's Trio with upright bassist Henry Fraser and cellist Daniel Levin is anything but typical string fair, blending improvisation with complex composition and rock sensibilities as one of New York's most unique downtown players takes listeners on a diverse and sometimes demented journey through genre and style. 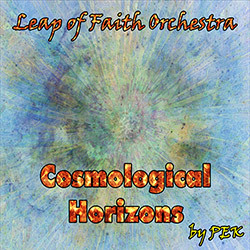 The core trio of the Leap of Faith Orchestra is Boston area PEK on clarinets, saxophones, double reeds & flutes, Glynis Lomon on cello, aquasonic & voice, and Yuri Zbitnov on drums & percussion, here expanded with Eric Dahlman on trumpet, whistles and game calls, and and Jim Warshauer on saxophone, in an incredibly diverse live performance at Outpost 186, in Cambridge, 2018. 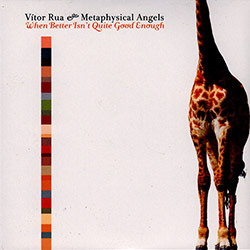 The core trio of the Leap of Faith Orchestra--PEK on clarinets, saxophones, clarinets & flutes, Glynis Lomon on cello, aquasonic & voice, and Yuri Zbitnov on drums & percussion--is joined by fellow Orchestra violinist Mimi Rabson and special guest, violinist Elinor Speirs, for a remarkable improvised work using a huge arsenal of instruments including a new Brontosaurus Bell. 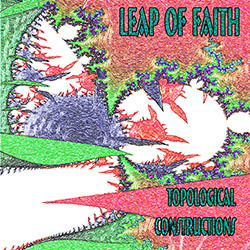 The largest ensemble of Boston-area David M. Peck's Leap of Faith collective using Peck's frame notation compositional method of written descriptions and graphic symbols to allow large ensembles to create major works without extensive rehearsing, accompanied by a 23 page booklet that illustrates that concept and details this 2018 Killian Hall, MIT, concert. 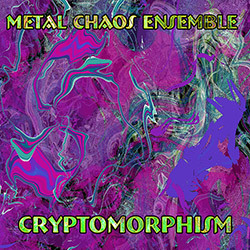 PEK and Yuri Zbitnov's working project exploring chaotic rhythms on metallic instruments using a wide range of sonorities, including gongs, chimes, glockenspiel, Tibetan Bowls and other metallic sounds and horns, plus accompaniment tracks, with special guests Bob Moores on trumpet and guitar and Eric Woods on analog synth and performing real time Signal Processing. 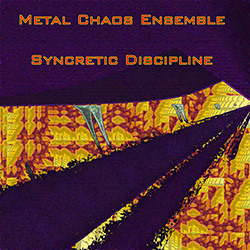 The Boston ensemble of unique instrumentation layering percussion, bowed and struck metal, synth, vibes and other percussive devices, whose core players are drawn from the Leap of Faith ensemble, is joined by Eric Woods on analog synth, along with two guitar players and Joel Simches on real time signal processing, allowing for an expanded palette of sound. 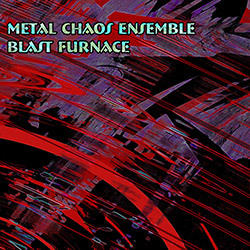 PEK and Yuri Zbitnov lead the Metal Chaos Ensemble, here in a septet rendering of this Boston-area free improvising group that embraces an impressive arsenal of percussive, electronic and acoustic instruments, using unique strategies to yield densely active and eerily surreal music, an incredible excursion through experimental improvisation. 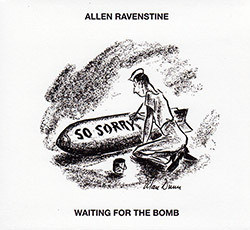 Many years after Pere Ubu and his work as a pilot, one of the world's most unique synth players, Allen Ravenstine, releases an album of composed works, 18 discrete hybrid miniature sound worlds that blend acoustic, real-world and synthetic sounds in unorthodox ways that elusively twist conventional approaches with unexpected elements and narrative twists. 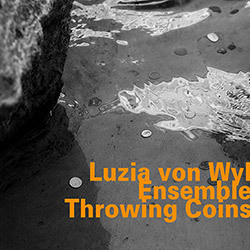 Swiss pianist and composer leads her Luzia von Wyl Ensemble, a 10 piece band orchestrated with piano, bass, drums, flute, bassoon, clarinet, bass clarinet, violin, cello, and marimba, in a series of original jazz pieces that embrace third-stream jazz and Middle Eastern modal melodies, her players taking on exceptional solo spots fueled by her sophisticated compositions. 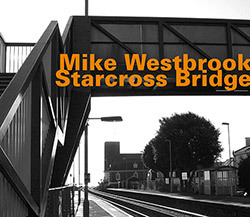 A solo piano album of lyrical jazz compositions from London pianist and band leader Mike Westbrook, including pieces from Monk, Duke Ellington, Billy Strayhorn, Lennon & McCartney, and original work from himself and his partnership with Kate Westbrook, an album of musical and personal references with the title track dedicated to saxophonist Lou Gare. 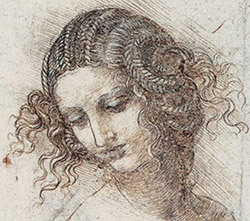 French composer and producer Hector Zazou's 2nd and last release with a "most exquisite and eccentric of groups, who hardly touched the world of working bands, and whose existence was tenuous, flickering, mythological - and yet who managed, stealthily, to find its way in time to legendary status by leaving an indelible trace in recorded form of their verifiable existence." 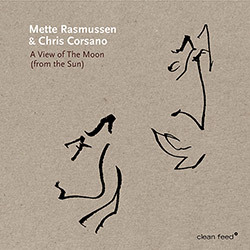 Following their Relative Pitch album "All the Ghosts at Once", the free improvising duo of alto saxophonist Mette Rasmussen and drummer Chris Corsano, also on slide clarinet, release their 2nd album, a live concert at Cankarjev dom, in Ljubljana, Slovenia in 2015, pushing the limits on both instruments through radical technique and inventive approaches to their playing. 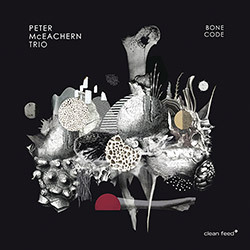 A trombone trio led by Peter McEachern, with frequent collaborators the formidable rhythm team of Mario Pavone on bass and Michael Sarin on drums; here they dedicate their lyrical, blues tinged but avant embracing album to Roswell Rudd as they play a set of McEachern compositions, along with one from Mario Pavone and one from Alice Coltrane. 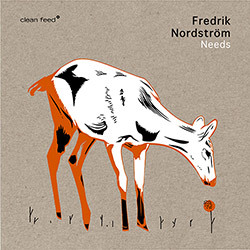 An all-star octet of Swedish improvisers is actually a double quaret with two reed players (Nordstrom & Ljugkvist), two brass players (Aleklint and Barno), two double bassists (Augustson and Zetterberg) and two drummers (Cantillo and Rundqvist), creating a powerful rhythmic foundation for a lyrical set of Nordstrom compositions and conductions. 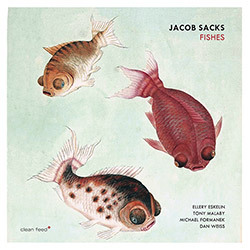 Eleven new works from New York pianist Jacob Sacks in a quintet with some of NY's finest--Ellery Eskelin on tenor saxophone, Tony Malaby on tenor & soprano saxophones, Michael Formanek on bass, and Dan Weiss on drums--referencing traditional jazz influences like Monk & Mingus with superbly creative soloing fostered by the freedom of Sack's compositions. 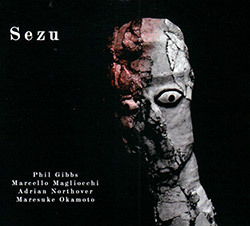 A profound sense of drama in free playing from the young collective trio of NY saxophonist Chris Pitsiokos with the establish partnership of Portuguese trumpeter Susana Santos Silva and Swedish bassist Torbjourn Zetterberg, in chamber-like jazz, informed by their musical background that spreads over a myriad of aesthetics, full of nuance and beautiful interplay. 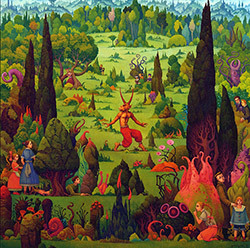 A great example of the Norwegian creative jazz scene, the quintet of Andree Roligheten on sax & clarinet, Thomas Johansson on trumpet, Oscar Gronberg on piano, Jon Rune Strom on double bass, and Tollef Ostvang on drums take their name from an Ornette Coleman LP, as they show us 'What's Next' by blending lyrical and free approaches with unexpected twists and turns. 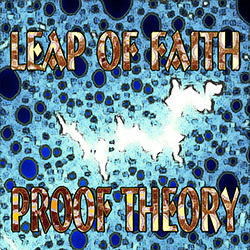 Reacting to negative comments about Brazilian music, Sao Paulo-born double bassist Arthur Decloedt recruited saxophonist Filipe Nader to create a new, spontaneous and free-form take on Brazilian jazz, using pop songs as a jumping off point, with four vocalists and a five piece band creating compelling new and unusual hybrids of Brazil's rich, rhythmic and compelling music. 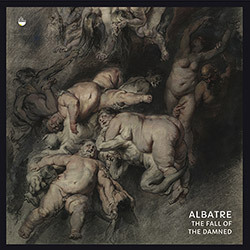 Rotterdam based band comprising two Portuguese players--Gonccalo Almeida on bass and Hugo Costa on sax--and German drummer Philipp Ernsting, the trio adding electronics, keys and effects, in their third album slamming hard free jazz and rock angst into a controlled chaos, a maelstrom of powerful riffs, rugged soloing, and mesmerizing grooves. 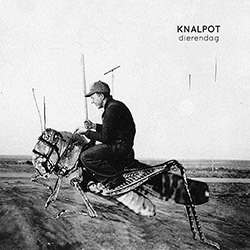 Sporting a strange sense of humor and blending rock and improvisation, instrumentally this Amsterdam is the duo of Raphael Vanoli on guitar, synth, & electronics and Gerri Jager on drums, synths, & electronics, with Sandor Caron providing sound design, here in an album of stylistic amalgamations of unexpected and upbeat rhythmic oddity and fun melodic inventiveness. 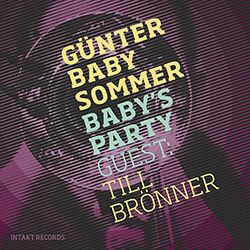 For his 75th birthday celebration, German free jazz legend Guther "Baby" Sommer joined with German trumpeter and flugelhornist Till Bronner for a rhythmically inventive, lyrical, and joyful album of free improvisation, nine pieces from Sommer plus "Danny Boy" (Weatherly) and Duke Ellington's "In a Sentimental Mood", making for a stylish and upbeat party! 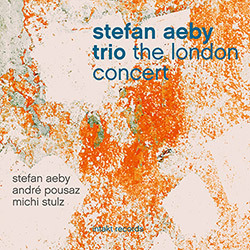 The Stefan Aeby Trio at the Intakt Festival at Vortex Jazz Club in London 2017, the pianist leading his trio with bassist Andre Pousaz and drummer Michi Stulz through lyrical original compositions from Aeby, with one from Pousaz, a wonderful example of the modern piano trio that embrace a wealth of styles and approaches while flowing clearly in jazz history. 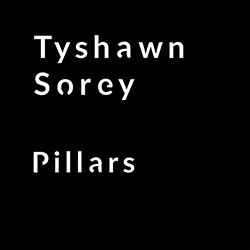 Drummer/percussionist, trombonist, pianist and importantly here, composer, Tyshawn Sorey in an amazing and ambitious work "Pillars", assembling an ensemble of virtuosic NY performers (Joe Morris, Todd Neufeld, Ben Gerstein, Stephen Hayes, Zach Rowden, Carl Test, Mark Helias) as he references Tibetan rituals, Stockhausen, and Anthony Braxton, and much more. 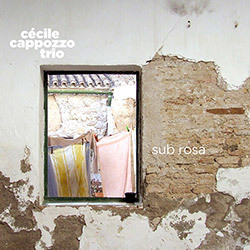 The French free improvising trio of pianist Cecile Cappozzo, double bassist Patrice Grente, and drummer Etienne Ziemniak are heard in performance at "la Maison en Bois" in Abbeville-la-Riviere in 2018, with trumpeter Jean-Luc Capozzo joining them on the title track, as they bring order to the 4 part "Chaos" through superb collective improvisation. 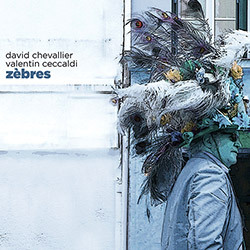 Two generations of improvisers--Valentin Ceccaldi on cello the senior, and the younger performer, David Chevallier on electric guitar and 6- and 12-stringed acoustic guitars--meet for the first time to intertwine strings in Nantes, France, with Benjamin Duboc recording seven diverse dialogs of imaginative style and authoritative technique. 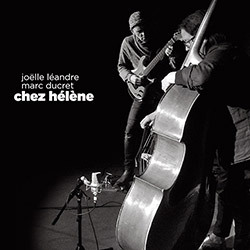 Jean-Marc Foussat recorded the French improvising duo of electric guitairst Marc Ducret and double bassist Joelle Leandre at 19PaulFort in May, 2018, the title drawn from a poem by Edgar Allen Poe, as the two trade acoustic and electric string approaches in a sophisticated dialog of exceptional technique and inventive approaches; superb. 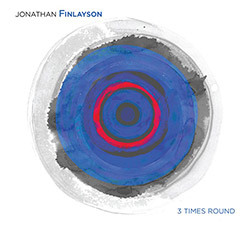 With a frontline of Jonathan Finlays on on trumpet, Steve Lehmanon alto saxophone and Brian Settles on tenor saxophone and flute, plus three members from Finlayson's band Sicilian Defense--Matt Mitchell on piano, John Hebert on bass and Craig Weinrib on drums--"3 Times" features intricate counterpoint, interlocking rhythmic complexity, gorgeous harmonies and strong melodies. 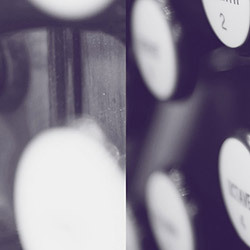 Commissioned for the Chicago performing space LAMPO and The Renaissance Society, Olivia Block composed this large work of drone and sound from 2016-2017, premiered on the massive Skinner Organ at Rockefeller Memorial Chapel in a free concert that included a sound installation of 6 speakers placed through the chapel playing white noise, sine tones, and prerecorded organ sounds. 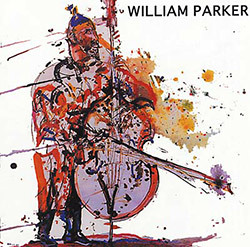 Pure William Parker in this solo album from 1998, as the New York double bassist presents 6 original works that demonstrate his skills as a composer, and his profound playing style, focused primarily on bowing with two pizzicato pieces, displaying an exceptional range of styles and emotions; the album cover is by Jeff Schlanger, painted during live recording of this music. 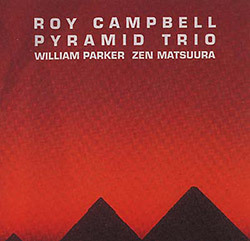 A masterful album that embraces jazz, African and Native American musics from the late NY trumpeter Roy Campbell's fourth album from 1998 in a trio, using a strong percussive pulse over Campbell's phenomenal soloing, at times joining on percussion alongside drummer Zen Matsuura, with William Parker also taking up percussion alongside his powerful double bass work. 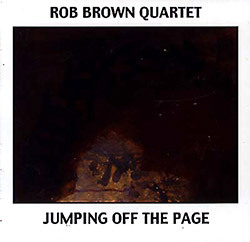 Only his third date as a leader, this 2000 release features Rob Brown on alto sax and flute in a quartet with Chris Lightcap on bass, Jackson Krall on drums, and the late trumpeter Roy Campbell, a great example of New York jazz through a set of Brown original compositions, from upbeat energetic playing to rich layered soundscapes, all with soul and conviction. 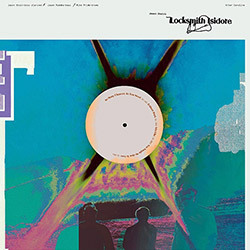 A series of inspired solo and duo performances from AMM founder, percussionist Eddie Prevost and free improvising saxophonist John Butcher, captured live at London's Iklectik in 2018, splitting the album between solo and duo work as the two morph their instruments into incredible sonic devices, with intense concentration and dialog nothing short of fantastic. 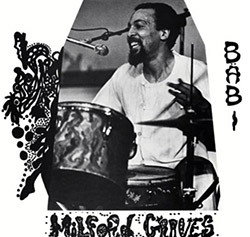 Recorded in 1976 at WBAI-FM/Free Music Store in New York, drummer percussionist Milford Graves goes head to head with two reedists, Arthur Doyle and Hugh Glover, an absolute stunner of percussive momentum and force, drawing the reeds into a frenzy of unbridled free playing; issued with a 2nd CD of a private recording of Graves plus unpublished photos. 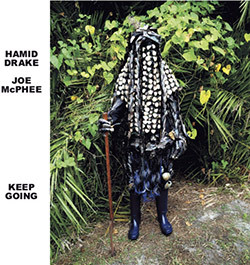 The second duo album between saxophonist & pocket trumpeter Joe McPhee and drummer/frame drummer Hamid Drake begins with McPhee reciting words by Harriett Tubman (Keep Going), as the two inform and astound through masterful playing, together and solo, shaking the listener through intense and unambiguously clear playing, with pieces reflecting our world situation. 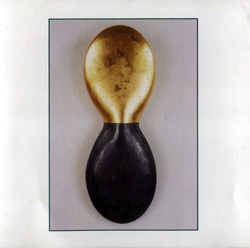 Drawing on many collaborations, from Peter Brotzmann's large groups to Gustafsson's The Thing, this duo album recorded in 2008 is finally issued to unleash 1 blistering album of saxophone duos, Joe McPhee on altos sax, alto clarinet, pocket trumpet and voice, with Gustafsson on baritone and slide saxophone, alto fluteophone and live electronics; brace yourself! 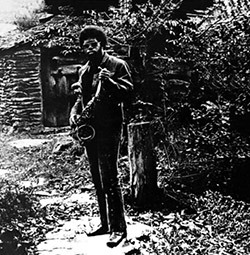 Keeping this essential album in print, Corbett vs Dempsey reissues the saxophonist & pocket trumpeter's 1971 release on the CJR label alongside 3 bonus tracks, a smoking album titled for a poem by Amiri Baraka, captured live at Vassar College Urban Center for Black Studies with Mike Kull (piano), Tyrone Crabb (bass), Bruce Thompson (percussion) and Ernest Bostic (percussion). 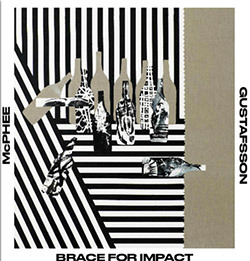 Authoritative and playful free improvisation in the European Free Jazz style, this 1978 album on Misha Mengelberg and Han Bennink's Instant Composers Pool (ICP) label, included the pianist and drummer along with Peter Brotzmann, Peter Bennink and Evan Paker on sax, Paul Rutherford on trombone, and Derek Bailey on guitar, in a much-need reissue of this seminal album. 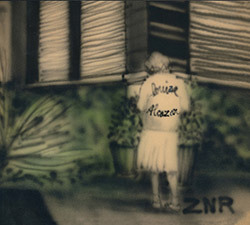 A reissue of "Amarcord Nino Rota", a tribute album assembled by producer Hal Willner, originally released by Hannibal Records in 1981, with interpretations of classic soundtrack compositions by the Italian composer from Jaki Byard, Bill Frisell, Steve Lacy, Muhal Richard Abrams, Carla Bley, Gary Windo, David Amram, George Adams, Kenny Barron, Ron Carter, &c.
The fourth release from Chicago bass clarinetist Jason Stein's Locksmith Isidore, a trio with Jason Roebke on bass and New York drummer Mike Pride, playing modern creative jazz with a twisted melodic sense through Stein's original compositions, alongside one collective comoposition and John Coltrane's "26-2", a great example of 21st century jazz. 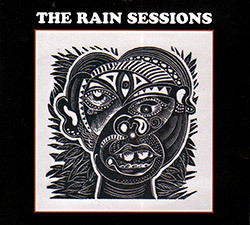 A strong start to the Australian trio The Neck's 24th album, as Chris Abrahams on piano & keyboards, Tony Buck on drums, percussion & guitar, and Lloyd Swanton on acoustic bass present a powerhouse of free improvisation in a single hour-long work, the first half evoking jazz leaning, with a free and spacious bridge that builds suddenly to a rocking groove. 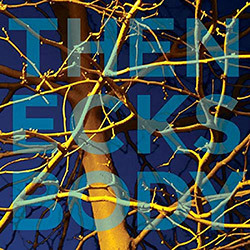 Guitarist and composer Wendy Eisenberg leads her powerful Downtown trio with Trevor Dunn on bass and Ches Smith on drums as they present hard-edged work including a piece inspired by poet Alice Notley, blending experimental and rock forms into a strange brew of eccentric improvised pieces, with an angular menacing approach and a fury of irrepressible determination. 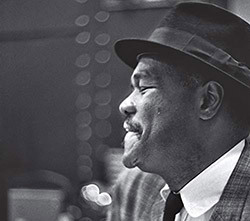 From Philadelphia comes this exuberant album with its feet firmly planted in jazz tradition as the trio of pianist Brian Marsella, bassist Christian McBride, and drummer Anway Marshall pay tribute to composer and pianist Hasaan Ibn Ali (1931-1980), an influence on Coltrane, Tyner, etc., with 7 Ali originals and a composition for Ali from Marsella. 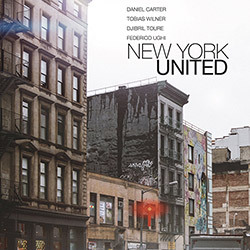 Two Downtown NY guitarists, both masterful players with unique approaches to their instrument, come together to present extraordinary and brilliant interpretations of an eclectic set of standards and compositions, titled for Claude Debussy's 1910 solo piano work, and including pieces by Hoagy Charmichael, Johnny Smith, Willard Robinson, and a number of traditional works. 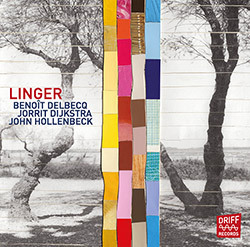 The long-running collaboration of Paris pianist Benoit Delbecq and Netherlands-born, Boston-area saxophonist Jorrit Dijkstra is joined by Boston drummer John Hollenbeck, the pianist and saxophonist also picking up electronics and bass synth as they improvise over 10 concepts of movement through texture and distinctive approaches to their instruments. 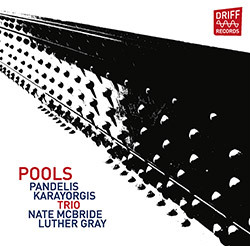 The classic piano trio gets Boston-area pianist Pandelis Karayorgis' take on lyrical free playing, recorded in an informal studio session as drummer Luther Gray and bassist Nate McBride run through a a set of mostly Karayorgis compositions plus two collective compositions, great modern jazz informed by a variety of projects each has collaborated on. 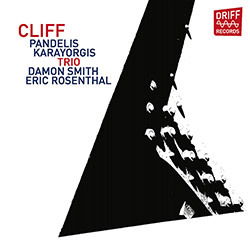 Contrasting his concurrent piano trio album with Nate McBride and Luther Gray, "Pools", "Cliff" is a first encounter between Boston-area pianist and composer Pandelis Karayorgis and drummer Eric Rosenthal with double bassist Damon Smith, recently migrated from the West Coast, as the three present a concentrative album of collective improvisation revealing three masterful players. 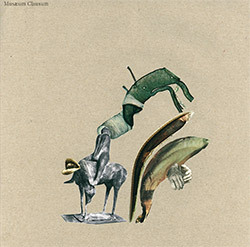 Musaeum Clausum is a French-German trio that features Louis Laurain on cornet (Die Hochstapler, Umlaut Big band, ONCEIM), Hannes Lingens on drums (Obliq, Konzert Minimal) and Sebastien Beliah on bass. 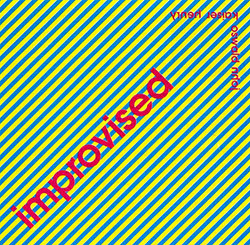 (Un Poco Loco, Ensemble Hodos, Umlaut Big Band), in an album of patiently developing improvisation giving each player freedom and flexibility within a composed framework. 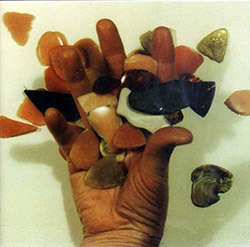 Guitarist Vitor Rua (GNR, Telectu) recorded the 15 pieces of this 2-CD set first as a series of overdubbed solo improvisations, using his virtuosic skills to create intriguing and compelling works, which he orchestrated and recorded with the quintet of Hernani Faustino on bass, Luis San Payo on drums, Manuel Guimaraes on organ, Nuno Reis on trumpet, and Paulo Galao on clarinets. 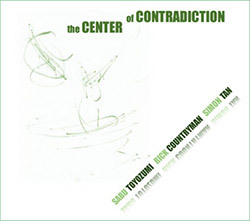 A live recording from Quezon City, Philippines of the free improvising trio of Sabu Toyozumi on drums, Rick Countryman on alto saxophone, and Simon Tan on acoustic bass, bring the first generation Japanese free improviser together with some of the Philippines' brightest free players for two extended improvisations of lyrical excursions and solid and often surprising rhythmic response. 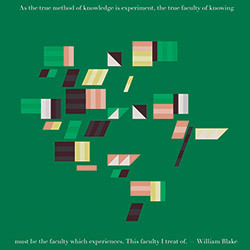 Bisio, Michael / Kirk Knuffke Duo: Row for William O.